Rank-up to higher dorm by gaining the trust & respect of other members! For all discussions related to Duel Links. For this kids who love video games. Write your own fan fictions. Nerds talking about anime & manga. The Movies, TV shows and celebrities. Here you can discuss scientific and philosophical research and development. Here you can post sports news and discuss different topics related to sports. This is where you seek discussions regarding decks and arch-type(s) that you need to learn and/or know about how they work. Start your own discussions if the topic you seek hasn't been made already. Playground for Quiz, Dice Games and more. Solve quizzes and complete puzzles. Post questions about card effects or rulings. Quality decklists made by our professionals. Lives season 5 is on-going. For discussing cards games other than Yu-Gi-Oh! Compete for the best signature of the week and earn a good amount of Duel Points. Graphic art showcase and support. Posted art must be made by yourself. Duel Points trade center where you can find our bank and other shops. We'll be covering YCS and other events hosted by KONAMI or anyone else, stay tuned! No one really knows what is inside. Special kind of tournaments which are known as YGO Regionals in real life. Duel Academy version of real life Yu-gi-oh! Championship Series Tournament. A forum dedicated to trading/selling/buying cards. Make sure you read our full set of rules before engaging in one of the former-mentioned actions. 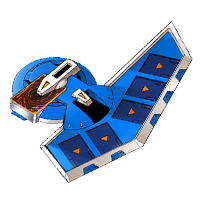 This section is for the Mini Live Tournaments hosted by Duel Academy, make sure to check the sticky topics inside before posting. Achievements system is currently disabled in DA. Ranking Table according to duels in Battle and Shadow Arenas. Pro Decklists Season #3 Tournaments will be held in this sub-forum. You're either the hunter, or the hunted! Obelisk Blue League where the winner gets awarded with Abandoned rank. Lets see whether you're able to solve our puzzles! Guess that character, i dare you, i double dare you! A League for only the elite players to prove themselves. Hell is a place you attend on your holidays, Shapesnatch Pink Realm is where you suffer for the rest of your virtual life. The one and only shrine to the King-God of Cats! No sullying the shrine! Trade stuff with other members. Deckmaster duel challenges in which you can use Deck Master. Official academy bank for Duel Points management. Announcement: DA is Looking for Teachers! Announcement: The Bank of Duel Academy! 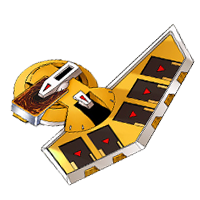 Announcement: Rare YGO Decklists - Powered by Duel Academy! Announcement: DA is looking for 3 new Assistant "Reporters"
Announcement: Spots are available for new staff members! If you have any questions regarding the rules or how something is done please post here. Announcement: New Hams for DA! Announcement: Duel Academy Duty-Free Shop! SALE! 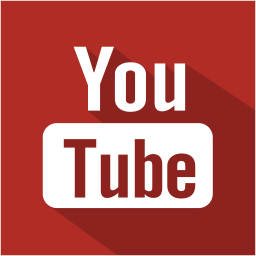 Announcement: Official DA Advertising videos/guides. Announcement: A free way of donations. Pinned: Your new - and most awesome of them all - *cough*leader*cough* professor. Pinned: DA is testing in the field once again! Pinned: DA Bank: Host your event! Pinned: Society of Light: Total Solar Eclipse! Pinned: What Deck Themes would you guys like to see? Pinned: Society of Light: Light is recruiting! 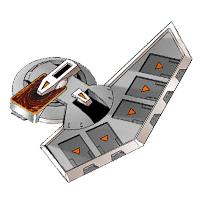 Can You Prove Your Deck Building Skills Are Superior?